Click the button below to add the GI Type P-38 Can Opener to your wish list. G.I. 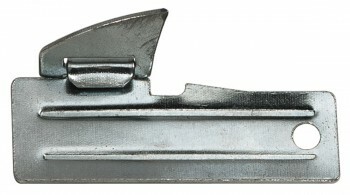 P-38 Can Opener is a very light and handy can opener ideal for campers and backpackers who carry canned goods with them. Easy to use and also serves as a universal cutting tool, this makes it an ideal camp or travel device.